... not least that we're the most successful wine merchant on the planet. A family run business for over 50 years we sell more wine, to more people, than anyone else. Our secret? We realised that not only did we need to get out there, meet the winemakers and discover the world's best wines for ourselves ... we had to take the customer on the journey with us. 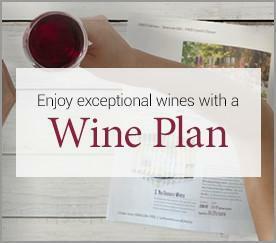 We do that with great communication, un-stuffy writing and tastings for the customers to meet the winemakers themselves. You too, could be part of that journey. There's a great working culture at Laithwaites. Our customer events are run entirely by in-house staff, we have opportunities for wine education, regular staff tastings and more. You'll even get a chance to visit our own château in Bordeaux and help with harvest at our own, award-winning Wyfold Vineyard in Oxfordshire. You'll find plenty of opportunities for career development, too – as you'll discover if you check out the biographies below. So if you'd like to be a part of our winning team, we'd like to hear from you. 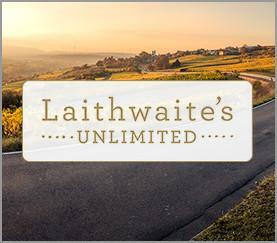 Laithwaite’s is the UK's No.1 home-delivery wine merchant and we are looking for a Commercial Graduate to join our team. You will be working on a wide range of projects with our Marketing, Creative and Merchandising teams including; customer recruitment and customer marketing campaigns (both print and digital), merchandise forecasting and planning, right through to working with the logistics and customer facing teams. You will be mentored and coached by our senior management team and be provided a real opportunity to kick start your career. Work as a team with the rest of the store, Area Managers and Ops to focus on achieving weekly, monthly and yearly sales, margin and stock targets. Deliver exceptional customer service to all customers at all times. Maximise sales revenue by up-selling, adding on and using targeted or personal recommendations. Responsible for the design and development of email campaign activity across Laithwaite’s Wine, The Sunday Times Wine Club and Avery’s. They will work closely with both the Email Marketing and Email Design Managers to optimise email propositions and creative. Also producing engaging designs in accordance with current brand guidelines. Tasks will also include developing both mobile responsive and automated email templates whilst managing the email production schedule. I work as part of The Wine Buying Team to ensure our wines look as great as they taste and the labels meet legal requirements. I get to speak with colleagues and suppliers all over the world (occasionally visit them) and also try lots of new wines on a regular basis - it's really not a bad job at all! It's been over 10 years since I nervously started my first job in the wine world. In that time I've moved through the ranks, from call centre to Marketing and eventually Merchandising where I lead our promotional merchandising team. My personal highlight so far? 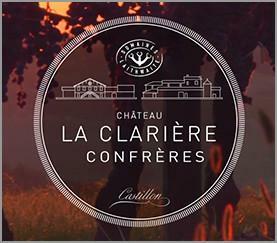 Being part of the team that won Best Wine Retailer and Best Online Retailer at the International Wine Challenge. Oh and you really can't beat our weekly Friday tastings. Why work anywhere else? 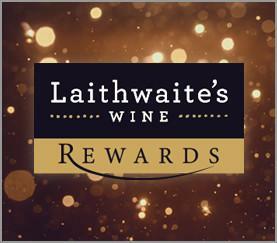 I started work at Laithwaite's back in 1998. Since then I've seen the company grow and develop in all kinds of ways, many of which I would like to think have helped shaped and develop me. 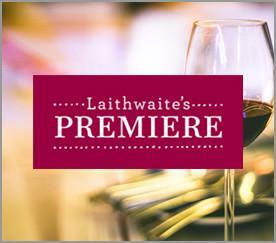 In fact, I met my wife through Laithwaite's and we've gained many good friends along the way. The company continues to be family led and to this day still retains its passion for delivering great wine - in every sense of the word. I started out at Laithwaite's as a summer temp 16 years ago and since then I've been a Wine Advisor, Wine Advisor Team Manager, Wine Advisor Campaign Planner and now I am a Business Analyst within IT. I consider myself really fortunate to have worked at Laithwaite's for so long - I've been able to progress my career at the same time as growing my family and have made some great friends along the way. During the recruitment process we may collect, store and process personal information about applicants and we recognise the need to treat this information in an appropriate and lawful manner. The information, which may be held on paper, on a computer or other media, is subject to certain legal safeguards specified in the Data Protection Act 1998 (the Act) and other regulations. The Act imposes restrictions on how we may use that information. If you consider that any of those restrictions has not been followed in respect of personal data about yourself or others please raise the matter with us.